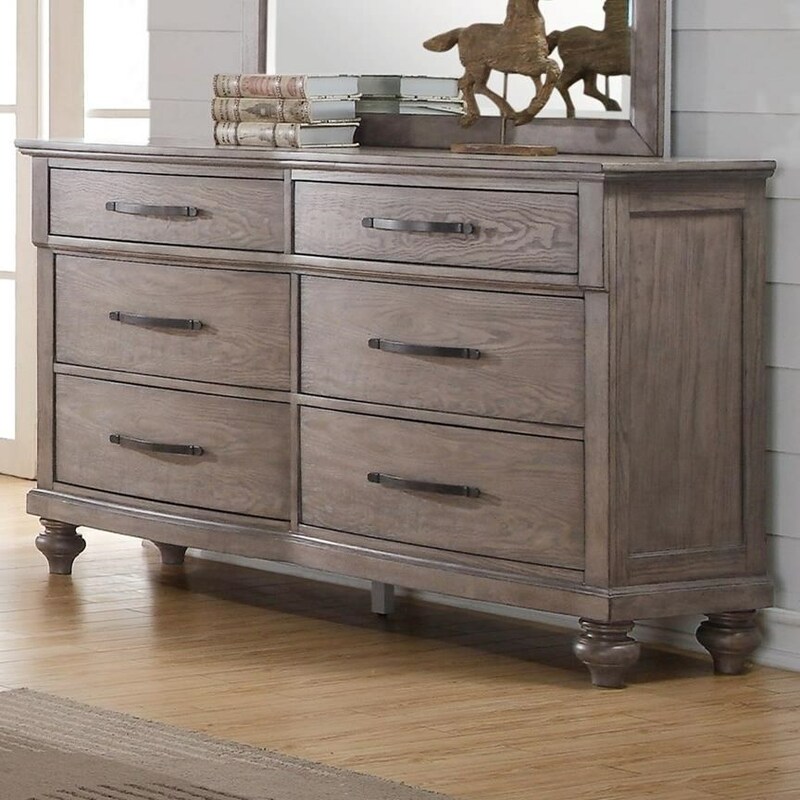 Six drawers in this dresser offer ample clothing storage and a spacious top allows you to display some of your favorite items. Felt lined top drawers will keep your delicate items safe and secure. 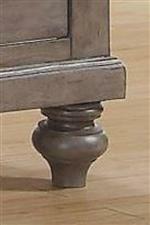 A slight curve to the drawer fronts and turned feet give the piece a classic look. The La Jolla Six Drawer Dresser with Bar Pull Hardware by New Classic at Michael's Furniture Warehouse in the San Fernando & Los Angeles area. Product availability may vary. Contact us for the most current availability on this product.